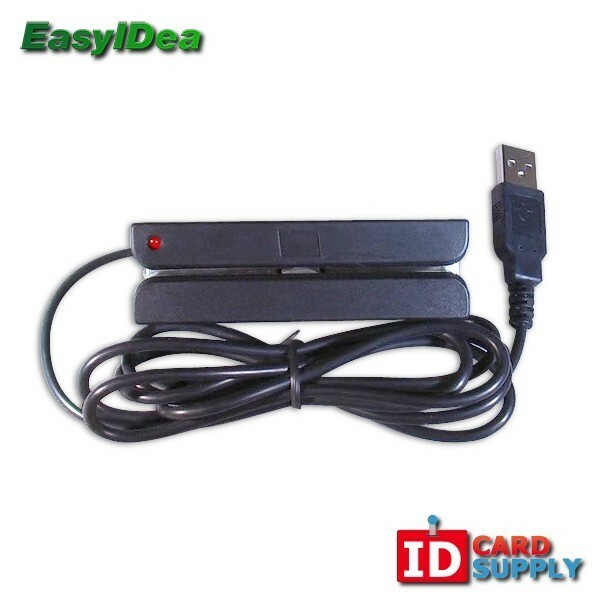 Magnetic Stripe Reader | Reads up to 3 Tracks | Order from IDCardSupply! This magnetic stripe reader can be plugged in to a USB port and used immediately without any downloads, software, or special drivers! It is compact and can read up to 3 tracks with the swipe of a card. This is great for time management, access control, and even payment processing! Available at an affordable price, easyIDea brings us this simple yet versatile reader.